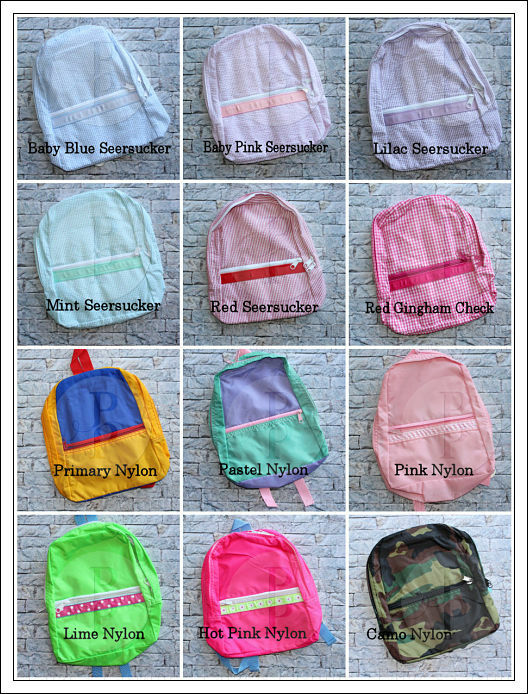 Whether you need a toddler size backpack or a medium size, these are the perfect accessory to hold you little one's needs while on the go! 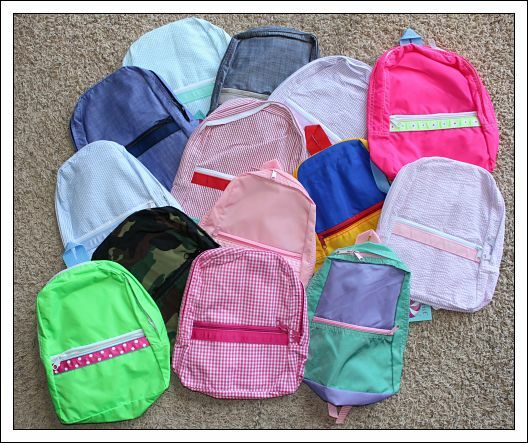 And they're great to use as an on-the-go diaper bag! 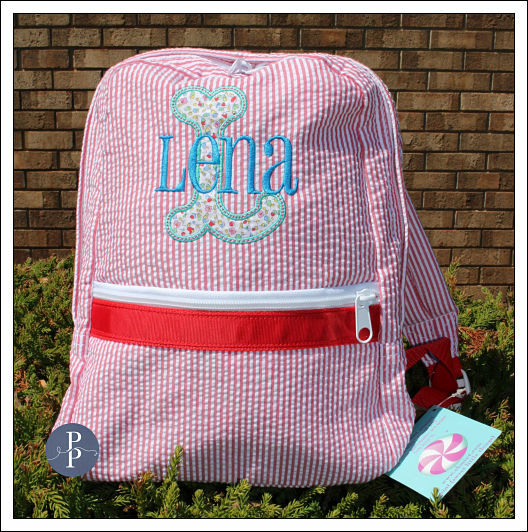 Toddler size measures 8.5" x 11"
Medium size measures 11.5" x 15"
They can be personalized with just a name or monogram, or an applique or embroidered design can be added. 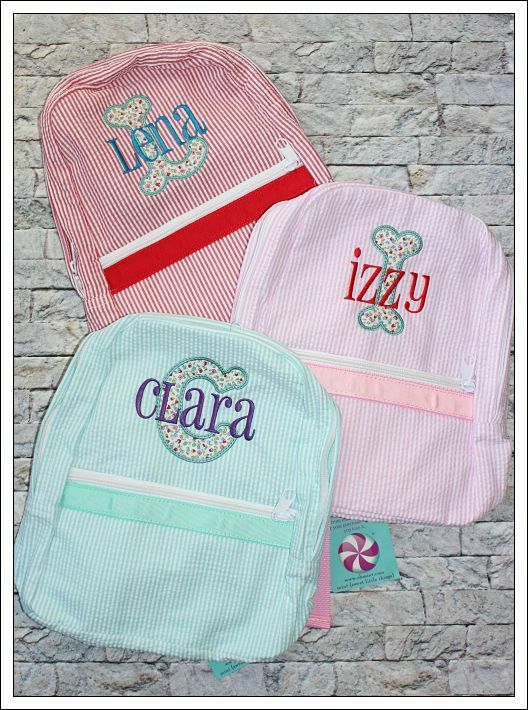 When typing letters for a monogram, be sure to list them in the order you would like for them to appear. Traditionally, it's first name/LAST NAME/middle name. Example...Mary Jane Smith would be typed mSj. Personalized to your taste!! Fabric choices for applique may vary; please specify what you'd like.